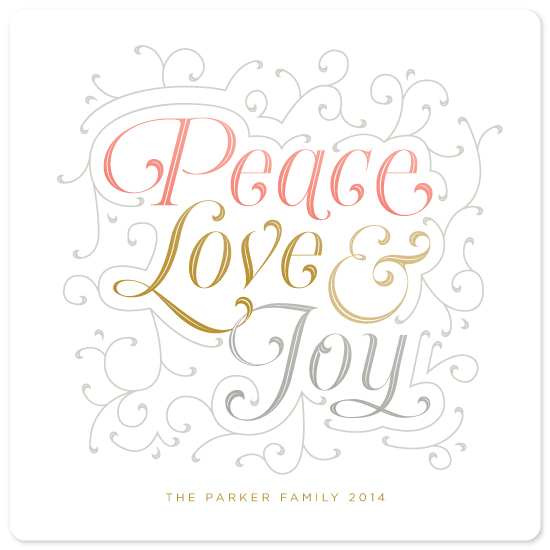 I'm excited to have recently become part of the amazing Minted.com design community! A Hello Cheerio design was selected for inclusion in this year's non-photo holiday card offering and is now available to purchase in my Minted store. Enjoy pics of my design below, as well as an inspiration board I created for this piece. Soft coral, shimmery gold and silver mingle together creating a whisper of vintage elegance.